The THERM-X Garments are designed to allow effective thermal treatment + compression, whether the patient is at a healthcare facility, a training room, or at home. 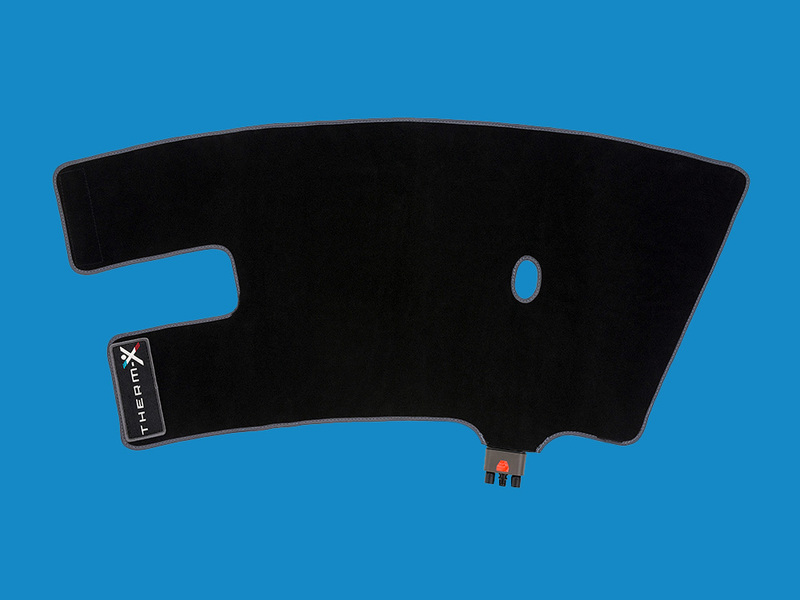 ● Therm-X Garments have a sealed path designed to direct the coolant to an anatomical treatment area. This area is calibrated to deliver the correct temperature. ● Complex Garments are marked with fitting steps to make application easy. ● Therm-X Garments are manufactured using high quality Velcro, designed for repeated use. ● Therm-X Garments use a quick connect hose fitting, with self sealing valves to help prevent coolant loss while detaching. 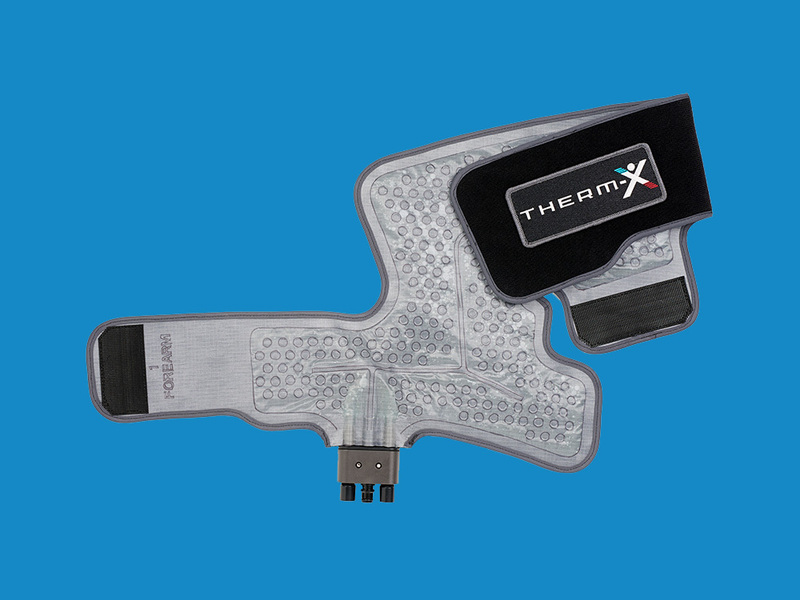 ● Therm-X Garments are shaped to fit a broad size range of bodies, from small patients to large athletes.